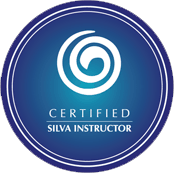 The Silva Life System leads the participant using guided meditation to completely relax Physically and Mentally to a deep state of relaxation, deeper than deep sleep, yet a state of heightened alertness and awareness. You will become a more Conscious, aware and mindful being. What are some of the benefits you get from investing your time in the SILVA Life System? In this Seminar, you will experience the incredible power of your mind. You will learn to use the amazing mind empowering techniques to change your life for the better. You will learn to function Consciously and with Awareness at the Alpha and Theta levels. And you will be delighted to see and feel Your attitudes, thought patterns, choices, energy, health and wealth transformed by applying these simple yet powerful techniques. Alpha Functioning – Learn to function at the powerful alpha brain wave level where you can learn to use both brain hemispheres to think with like a genius, instead of just one, the way most people do. Positive Thinking– Learn to develop and maintain a positive mental attitude no matter what the circumstances. waking up refreshed and relaxed. Learn to energise yourself anytime, anywhere whenever you wish to. Dream Control – Learn to remember dreams and use them to get information to solve problems. Headache/Pain Control– Learn to relieve tension and migraine headaches without drugs or external aids. The Memory Pegs technique will help you to improve visualization, imagination and memory and enhance your mental abilities as well accelerate learning. The Three Fingers Technique– Learn to become an A grade student and tap into the genius within for instant decision making and problem solving. Weight and Habit Control– Why you can reduce and reach your ideal weight and eliminate unwanted habits out of your life. Glove Anesthesia– Learn to remove pain, stop bleeding instantly using the powers of your mind. Controlling your Limiting Beliefs– Learn to recognize your limiting beliefs and then take replace them with positive and empowering beliefs. you develop the intuitive and psychic ability that already lies within you. And Creation of a Mental Retreat for Healing, Inner Child Work, Meditation and Guidance from Your Higher Self.